Across the U.S. and around the world, trade show budgets are coming back, albeit slowly. 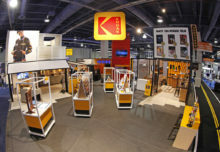 As a result, trade show programs are getting refined and redefined as exhibitors try to make deeper connections and get more efficient with their spends. Here are five best practices for trade show marketers from two industry vets, Philips and Dell. Philips’ space was a closed exhibit, which Jenest says is another plus to being off-site. All business was by appointment only, which protected the company’s resources, and gave attendees dedicated attention. Customers and journalists appreciated the opportunity to step outside the chaos of the show floor. The company provided town cars to shuttle them to and from the convention center… and a chance to get off their feet. The previous year, to support its message that Philips is a strong consumer electronics brand, the company brought its entire consumer electronics line to CES, a strategy that made sense at the time, Jenest says. But this year Philips left home the cables, surge protectors, dictation devices and iPad cases that it brought to the show in 2011 and shined the spotlight on its docking and wi-fi speakers, a new line of headphones under the Philips Fidelio premium audio brand and a headphones collection created especially for urbanites. It ditched the racetrack style setup that in 2011 circled through its entire product offering in favor of a more focused experience that showcased the speakers and headphones through a series of vignettes. The Fidelio showcase area offered a demonstrative listening experience in a separate room. Behind its sliding glass doors, up to five attendees wore the headphones to listen to a 60-second voiceover detailing Philips’ heritage in sound and what sound means to Philips as a brand. Next, the spotlight shone on five speaker docks on pedestals that were programmed to play a track that brought through the qualities of each speaker. Another vignette designed as the interior of a subway car with a pole, straps, wall graphics and a mock subway door illustrated the benefit of Philips’ CitiScape Downtown headphones. Inspired by New York City and its smart-casual street style, the headphones are made with MusicSeal, which helps keep the music closer to the wearer and out of the earshot of others. “It was hard for someone to leave that space and not understand what the product is all about,” Jenest says (Agency: Czarnowski, Chicago). At Dell, streamlining its events strategy and offering attendees a more coherent, meaningful experience is a top priority. 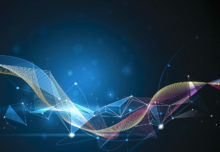 Two and a half years ago, it aligned with strategic industry partners such as Microsoft, VMware and Citrix to form the Global Alliance event program, which put Dell more on par with competitors HP and IBM. 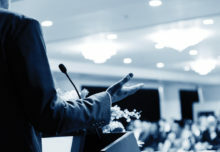 It is now front and center at shows like Oracle Open World, VMworld and Citrix Synergy as it works up to gain enterprise credibility and become a trusted advisor to its attendees. Dell and 3D Exhibits also took a good, hard look at its trade show budget, an exercise that uncovered some surprising inefficiencies, like the fact that 88 percent of the dollars went to booth and sponsorships, leaving little for marketing. Dell first determined the number of attendees and its business objective at each show, then broke that down to a cost per attendee. It learned, for example, that it spent more on its booth at the Microsoft Management Summit, which attracts 5,000 attendees, than at VMworld, which draws 20,000. “That didn’t make a lot of sense,” says Salomon. 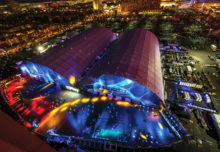 To address that issue, Dell benchmarked buckets—exhibit environment, show services, marketing, transportation, A/V, graphics and sponsorship participation—to ensure that it wasn’t spending too much on one show versus another but still achieve its objectives. 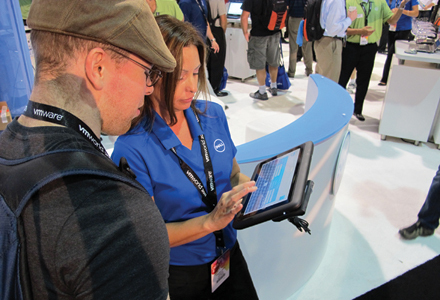 Dell incorporated more fabric and aluminum into its booth, making it more lightweight, which also saved on shipping. It went paperless to cut printing costs and stopped handing out USB keys with content on them, opting to email the literature instead. In the end, Dell saved thousands of dollars in production costs, kept its status as a green company and it still has a dynamic booth that draws people in. The dashboard keeps track of leads in real time, as well as current customers and database prospects who have visited the booth and those that have visited multiple stations, requested files or taken surveys. It breaks the information down to leads per day, which helps tailor the booth to different days, and knows how long people stayed at pods within the booth. The dashboard offers visitor profiles and looks at survey questions, which are prescriptive to each show, so Dell can understand where its customers see it and tailor conversations appropriately. “Last year we found that more than 45 percent of our visitors were from universities, which we had no idea, so we are going to be able to use that data this year,” Salomon says.